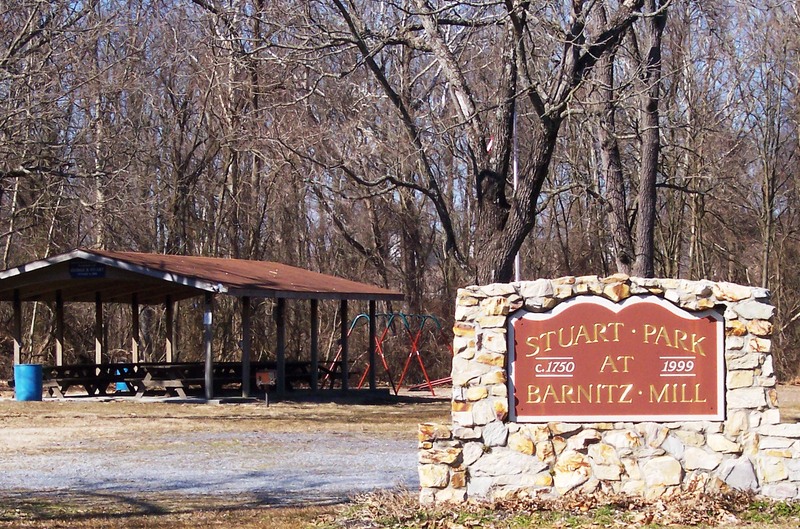 **The following is only a summary of Ordinance #1 of 2001, which contains all of the specific guidelines in their entirety, as they apply to Stuart Park. To rent the pavilion, please click Stuart Park Rental Form. No hunting, trapping or pursuit of any wildlife. No destruction, removal, or injury to any trees, flowers, plants, or rocks. No littering of any type, either on grounds or in stream. No destruction, removal, or defacing of park equipment and structures. All pets must be on a leash and under control. Owners are responsible for cleaning up after all pets. All children under the age of 6 must be accompanied by a responsible person. Pavilion may be rented, and therefore reserved to renters, however, park areas surrounding the pavilion shall remain open to the general public. All motor vehicles shall be parked in designated parking areas. No motorized vehicles of any type allowed on other park areas. This includes ATVs, motorized scooters, motorcycles, trail bikes, snowmobiles, or other motorized vehicle. No alcoholic beverages of any type allowed on the grounds. No firearms of any type allowed on the grounds. No fireworks of any type allowed on the grounds. No open fires other than in designated grill and fire-pit areas. No entry into Barnitz Mill area. No skateboards, skates, in-line skates, or roller blades permitted. No obscene, loud, or offensive noise. Rental fees shall be: $50.00 for residents and $60.00 for non-residents. $15.00 will be returned if area is cleaned up to the satisfaction of the Township. Renter is responsible for cleaning up all debris and/or trash resulting from their activity, and placing trash in trash receptacles. Township will provide trash bags. Charcoal fire or ash residue shall be left in the charcoal grill area. Township will clean once it has been determined coals are completely extinguished. Priority for renting the pavilion shall be given to township residents during January and February of the calendar year. As of March1 of the calendar year, the reservations shall be opened to the public at large. Renters shall be limited to one rental date per calendar year. Reservations shall be taken the first working day of the new calendar year. The township shall post the name of the renter in a conspicuous place on the pavilion, so that outside visitors will know the pavilion is rented for that day. Once the township receives the rental fee, the renter shall be entitled to the pavilion area for the entire day, sunrise to sundown. The Park contains regulation horseshoe pits. Visitors are responsible for bringing their own pins and shoes. The pavilion area is limited to a capacity of 80 persons.